…Siyah the cat helped the girls admire the January morning garden. What beauty you have surrounding you…thank you for this view of “Spring” in your area. You are very welcome! The plants do seem to think it is spring around here! Such an early start to the season! 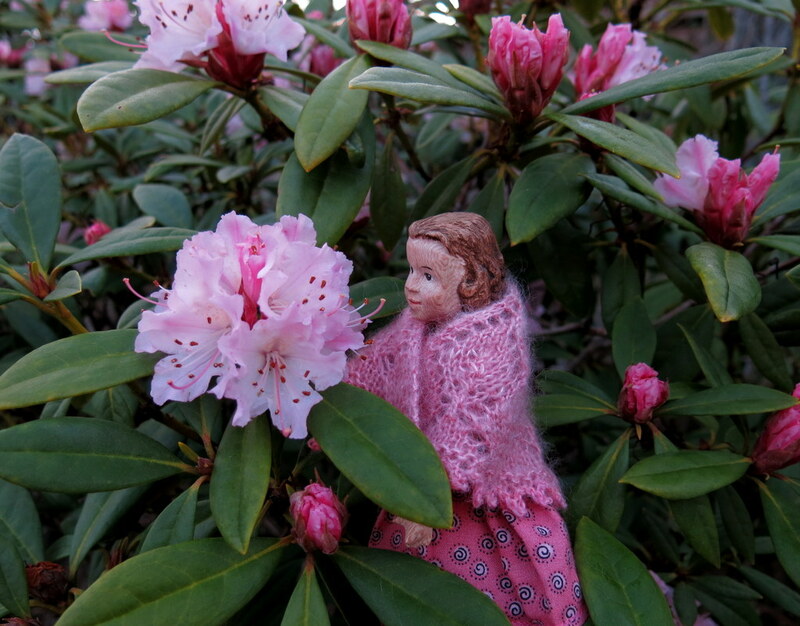 The shawls are perfect for the girls to blend in with the rhododendrons and catkins. They look almost as though they were planted there. This is such a pretty preview of the coming spring. It is an early start to the season! 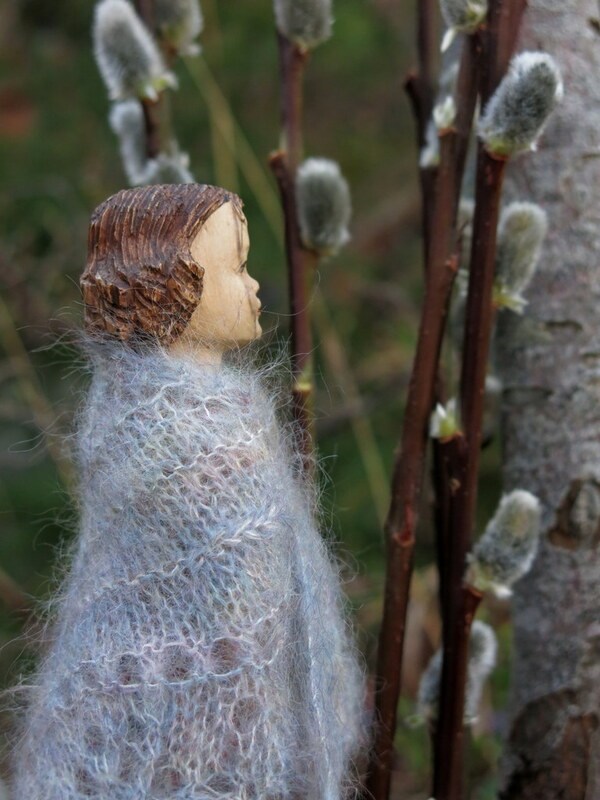 Rose particularly liked making the grey one, and Eugenia says the catkin-shawl is soft and grey and makes you want to pet it! 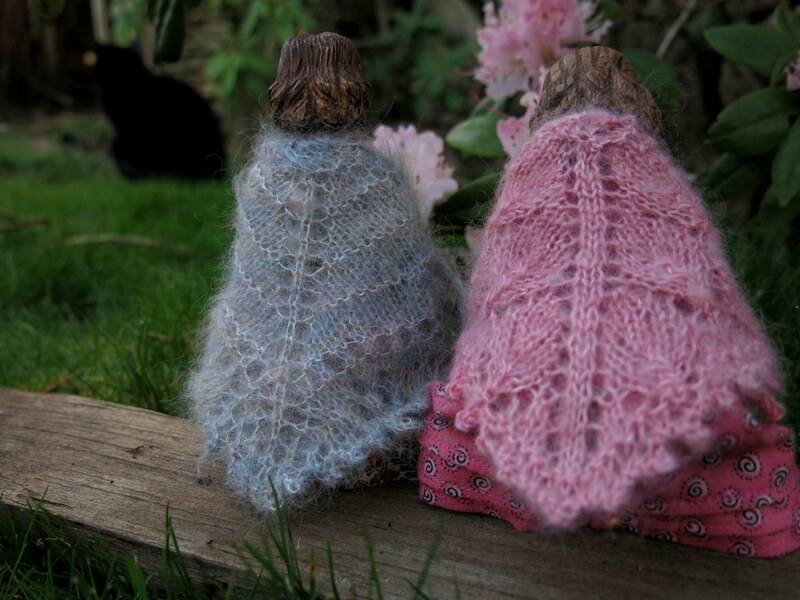 The girls look like spring blossoms in their new shawls. Ahhh, hope for spring on this frigid midwestern morning where the mercury is hovering around zero! thank you for the smiles. 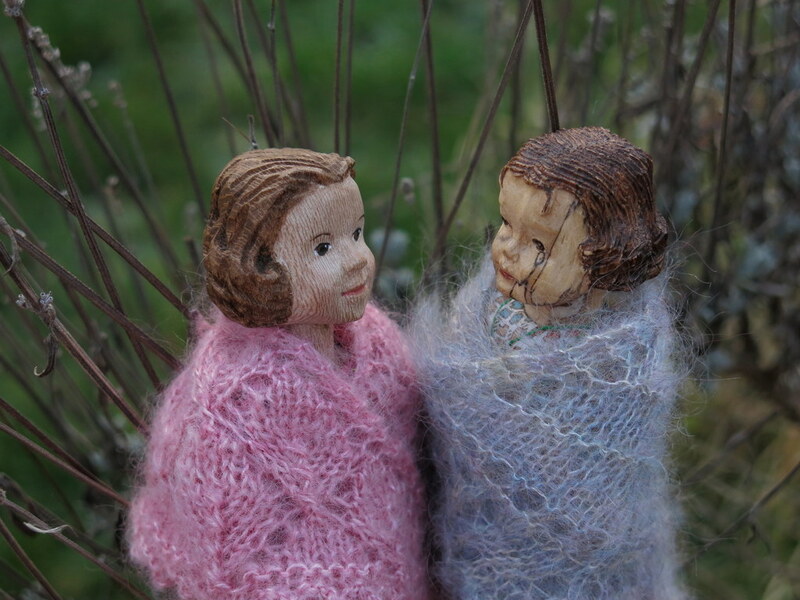 They both love their shawls, and love Rose for making them! I hope you and the Country Hittys are keeping warm! You are very welcome – but Oh dear! We hate the dreaded lurgy – I am sorry it has been stalking your household! 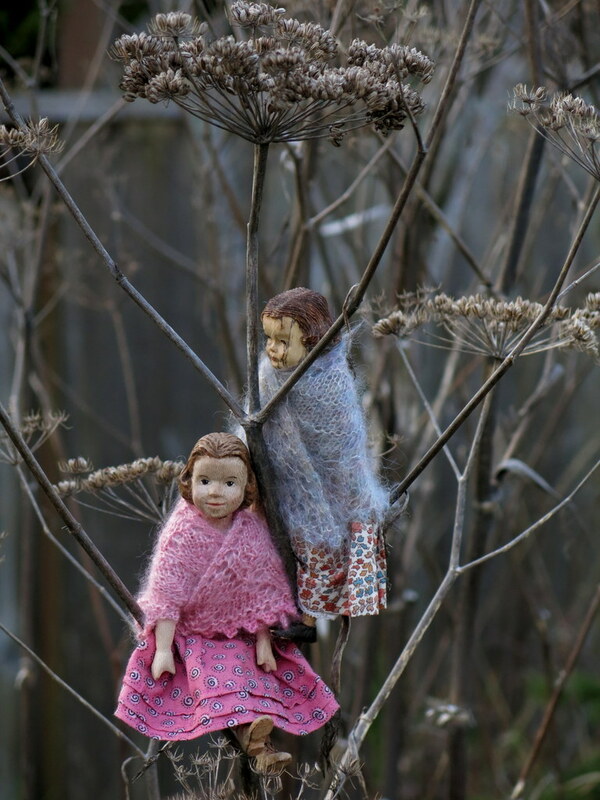 What beautiful shawls and the promise of seeing Spring is reassuring being our real feel temp right now is 12 below zero. Spring will come! I know the earth will tilt again and the sunbeams warm the air and soil…this too shall pass.